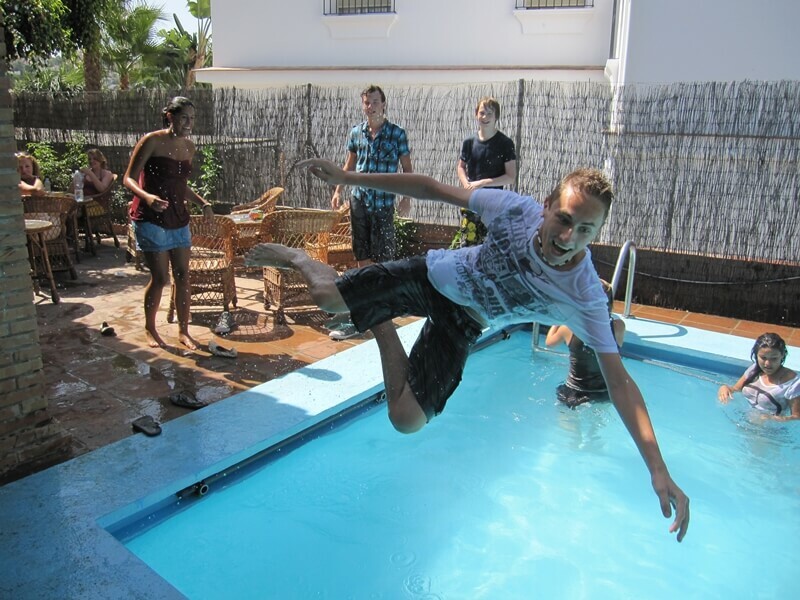 Spanish Courses in Malaga, learn spanish, have fun in Malaga! 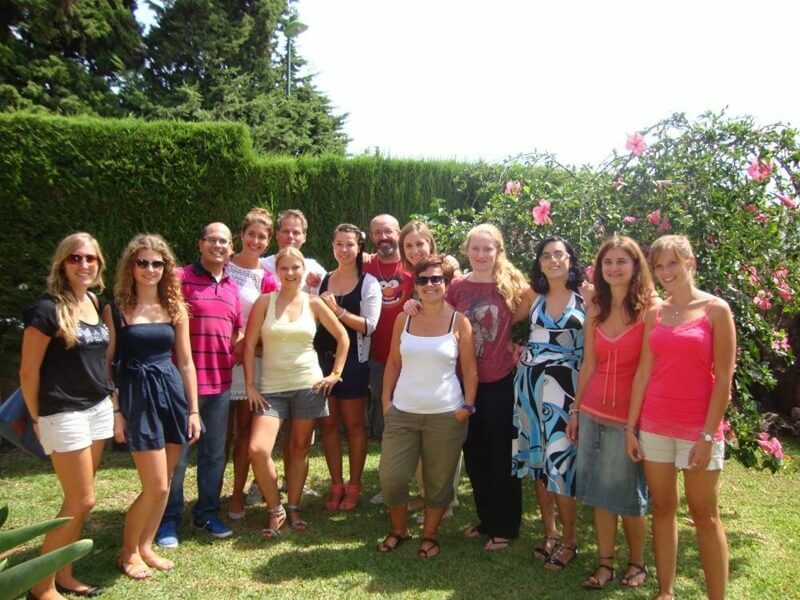 Instituto Andalusi opened its doors in 2002 and offers different Spanish courses for people from all over the world. Our school provides the students with a wide range of courses, including more specific ones like Business Spanish, courses for teenagers, as well as preparation courses for the DELE exams. 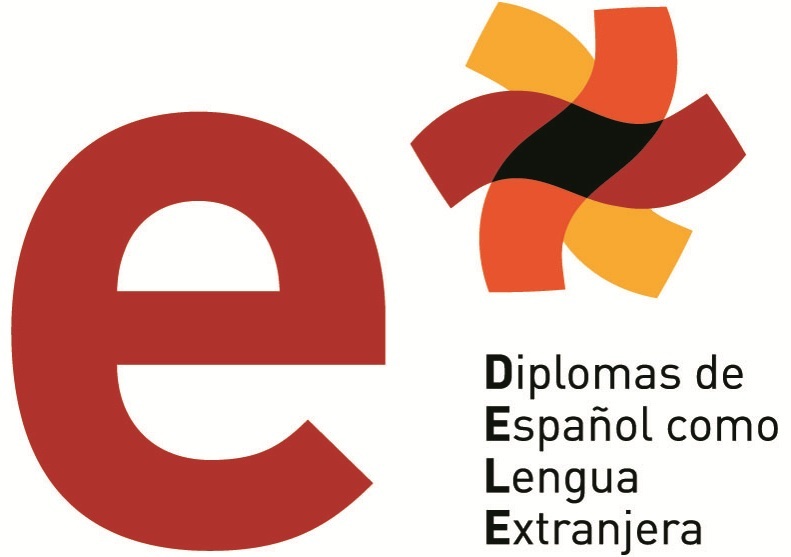 The school is also accredited by and a member of language organizations, such as Instituto Cervantes, FEDELE, AEEA, ACEM, etc. Our classes never exceed the maximum of 9 students, which makes the learning experience more personal. Our high season is in the summer from June until September. During this time we could have up to 15 classes and have another school building available, the beautiful villa directly in front of our school. Our low season is from October until May. 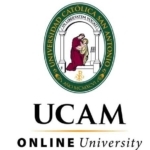 The school’s program provides a balance between studying Spanish and leisure. During the week we offer a variety of activities such as visiting different museums, sporting activities, watching films in the school or barbeque and paella parties. On the weekend there is a possibility to visit other cities nearby with a guided tour, for example Seville, Granada, Córdoba or Ronda. The heart of our school are of course the teachers and the staff. They make it their job to teach you as much as possible as well as make you feel at home and a part of the Instituto Andalusi family. Our teachers are all university graduates and have extensive experience teaching Spanish as a foreign language. Since we strongly believe in a personal approach you will get to know most of our teachers due to our daily rotating system. 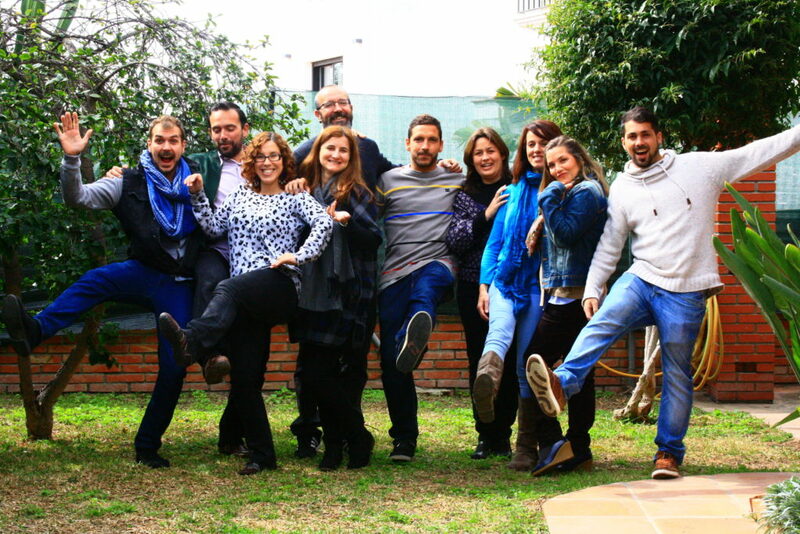 If you want to know more about our teachers, please check our blog here. The managing school staff is of Swiss origin and has extensive experience in the tourism sector. In case you’ve got questions and your Spanish is not quite there (yet), the staff can also answer your questions in English, German, Italian or French. 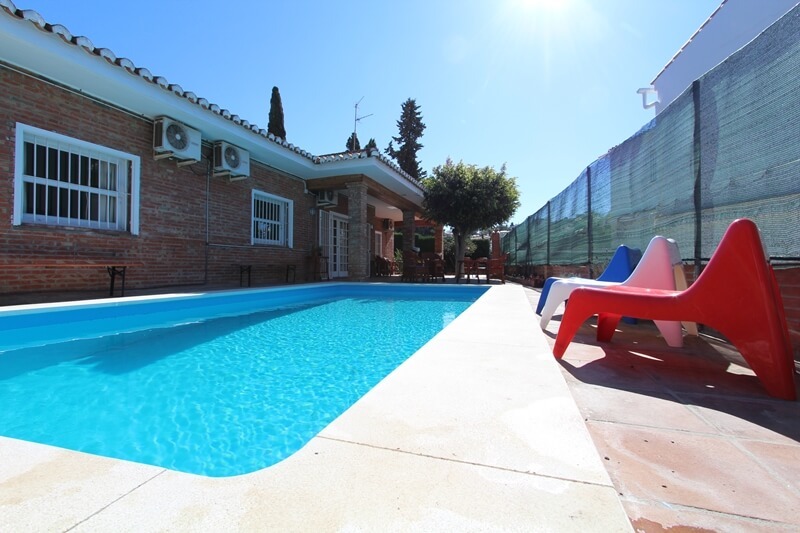 We are located east of Malaga in a neighborhood called ‘El Palo’. It is is a typical fishermen neighbourhood about 5 km away from Malaga centre. El Palo has a lot to offer, with its long beaches and a lovely promenade with lots of bars and (fish) restaurants. 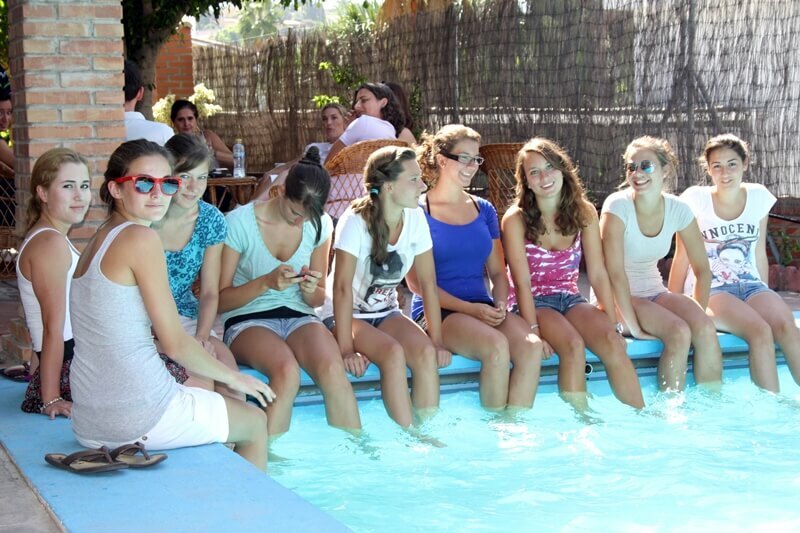 Our school is an Andalusian style villa that is located in a very quiet residential area called Miraflores del Palo. The building has two floors, seven tastefully decorated and fully equipped classrooms with air conditioning, a little library where it is also possible to rent DVDs, computers with free Internet access, wheel chair accessibility, a vending and coffee machine and of course free Wi-Fi in and around the school. Furthermore we have a big garden, two terraces and a pool where you can enjoy the sun with a cup of coffee while you get to know your fellow students. Because of its location and the more than 330 sunny days a year it is possible to have classes in the garden. The beach is just a 10-minute walk away from the school. The centre of Malaga is about a 10-minute car ride, a 20-minute bus ride or an hour walk away. Due to its location, there is no problem if you travel by car. There are free parking spaces available in the street in front of our school. Our school is a qualified exam centre where you can take the exam to obtain the Spanish nationality. To require more information or to register for the exam, please visit the website of the CCSE here. 1. Create an account by registering your data on the page ‘register’ or click here. aware that you can only pay online with VISA, Paypal or Mastercard. 2. The copy of the inscription for your CCSE exam. Please keep in mind that depending on your condition and/or nationality (EU member, Stateless, Refugee or Sephardic), you will have to bring different documents. For any further information please contact us here or contact directly the Department of Justice here. Dates: For the exam dates please check the website of the CCSE here. Important: make sure to enrol yourself at least 3 weeks before your exam date. 2. A passed DELE exam (A2 minimal) if your native language is not Spanish.